Summer Camp and Class Information Is Posting! Welcome to 620 Dance Centre! We are happy to bring quality dance classes for children to Austin, Texas since 1985! We have a full range of dance lessons available from toddler dance classes up through our competition dance team - we have you covered! Our dancers come from all over the greater Austin area including Lakeway, Steiner Ranch and South Lake Travis, as well as Northwest Austin to visit our studio located off of Ranch Road 620 in the West Austin area. Whether you are looking for hip hop dance classes for children in Steiner Ranch or ballet classes for kids in Lakeway - we are a few short minutes away! Please visit our Dance Descriptions page for details about each dance class offered and age recommendations for each class too! 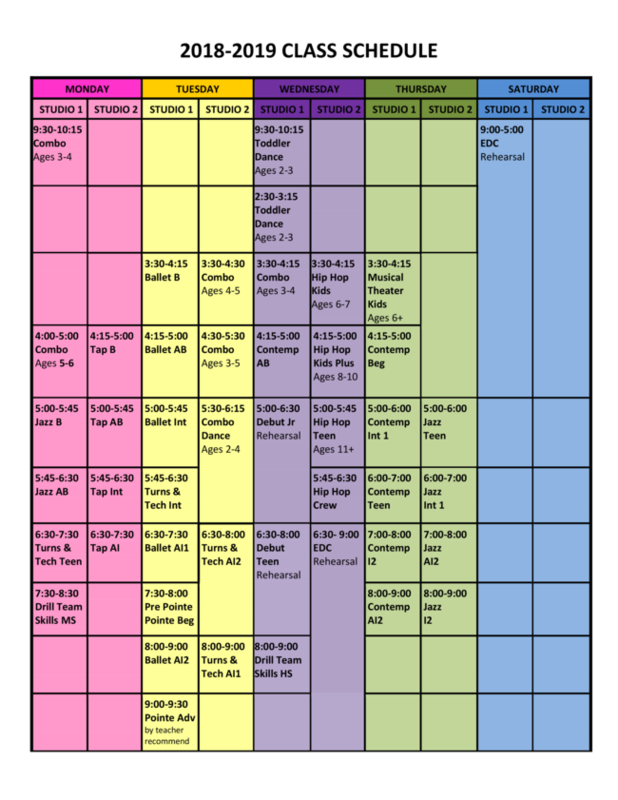 620 Dance Center studio has so many fun activities going all throughout the year! Check out our Dance Events webpage for details on our annual Spring Concert, Dance Shoe Fitting, Fall Open House and more! Are you looking to rent a dance studio in the Austin, TX area? Our studio can be rented during our free time for yoga classes, church groups and more! Click to find out more about our Dance Studio Rental! Brand New -- For our members -- if you are wondering basic information such as "When do dance classes start for the year?" or "What days are holidays for the dance studio?" -- simply check out our brand new Dance Calendar and with a few clicks of your mouse, you will know how to plan your families schedule! Starting with our youngest dance students, we offer Toddler Dance Classes that include a combination of ballet and tap -- a perfect combo for a little prince or princess! Your child can enroll in Toddler Dance classes if they are at least 2 years of age! We also offer Combo Classes that include a combination of tap, ballet and tumbling, and focus on building skills and balanced coordination while inspiring the love of dance. Our Combo Class age categories are 3-4 year olds, 4-5 year olds, and Advanced Combo 6-7 year olds! Click here to get all the details about our preschool dance programs! School age dance classes for kids are offered for a variety of interests! Visit our kids dance classes page for detailed information on classes for school aged children. So if you are looking for ballet classes, hip hop classes, tap classes, jazz classes, musical theater, contemporary or modern dance classes -- look no further! 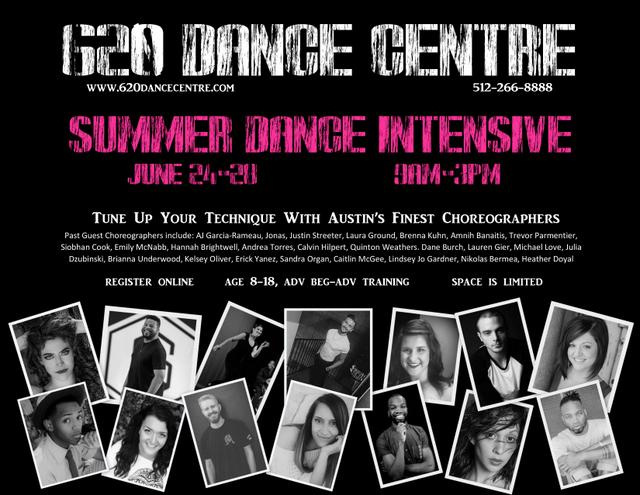 620 Dance Centre has the skill and experience to share with your child!! Click to see detailed information about kids dance classes! We offer a wonderful variety of teen dance classes perfect for older dance students! From ballet for teens, pointe classes, jazz, tap, contemporary or modern dance, and hip hop -- we have something for your teen who loves to dance! 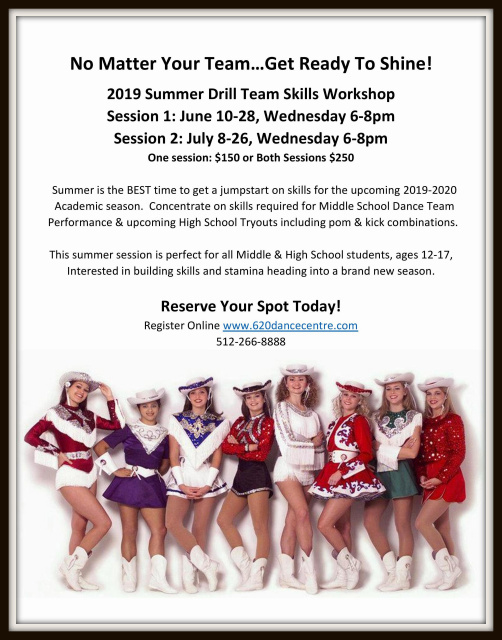 Also, if your preteen or teen is getting ready for drill team this fall or preparing for drill team try outs, don't miss our drill team skills class offered on Wednesday evenings! Your daughter will have plenty off flexibility and precision training needed for drill teams members. Our Drill Team Skills Class includes practice on high kick techniques, jazz technique, splits, turns, and other important skills while having fun at the same time! Click for more information about our drill team dance classes -- hurry before the spots fill up! One more thing...Parents will be thrilled to know our studio has a study room where teens can catch up on some homework while waiting for their next class! 620 Dance Centre is proud to showcase Encore Dance Company as their own competitive dance team! If you have a dancer that would like to take their skills to the next level, Encore Dance Company just may be a perfect fit for you! Click to find out more about our competition dance team and see the awards we have won most recently! The 620 Dance Centre, established in 1985, strives to provide a well-rounded professional dance program that results in a quality dance education for each individual student. Our goal is to share the experience of dance with others, creating a foundation upon which creativity, self-discipline, and positive self-esteem can be built. Our main concern is for the student. Understanding and cooperation between teacher, student, and parent is essential to the success of any type of education. We will always be available to discuss the progress or attitude of your student. We also encourage students to stay with the activities they have started. Whether it is dance, piano, or athletics, we all benefit in life from having learned as a child to see commitments through until the end. There are no shortcuts; it takes time and discipline to build a strong body and beautiful dancer. We at the 620 Dance Centre feel that dance is a gift to be shared. We are excited to share that gift with you so that you can begin to enjoy its unlimited rewards.